Young Bebus holds her M.B.A. in general business management from Carlson School of Business, MN and B.A. in Home Economics from Kyungbook National University, Korea. She has 20 years of business experience in assisted living, home health care, restaurant, apparel, and design. Growing up in South Korea, her family was always in small business from farming to restaurants, to retail clothing shops. She has a knack for a variety of businesses plus a strong entrepreneurial spirit and passion. During her 18 years of work in healthcare management, she provided leadership to multiple assisted living care facilities across Minnesota, Wisconsin, and Iowa. She also managed the development and openings of new facilities. She continues to be an advocate for seniors, their caregivers, products, and services that enhance the quality of life and quality of care for the growing, aging population worldwide. Young was born and raised in South Korea and moved to the USA in 1997. 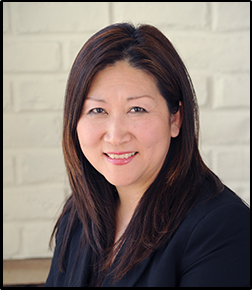 She takes pride in being a member of the military family for over 20 years, and her Korean heritage. Young is committed to collaborating with business owners and serving business communities through VR Business Sales with a mission-driven culture, professionalism, customer service, and leadership. Contact Young today at youngb@vrtwincities.com for 10 to 15 minute consultation on your business!